"Jones on the other hand has fared perfectly respectably in this major, making all three cuts and hitting opening rounds of 68/69/71. The Aussie is probably best in firm, fast conditions and is in reasonable form." Let's kick off our live Open betting in the very first group out, and what will likely amount to a straight match. Sandy Lyle was something of a links master in his day but that was many moons ago. His average round score since 2013 in this major is 77 and the Scot has similarly struggled in the Seniors version. 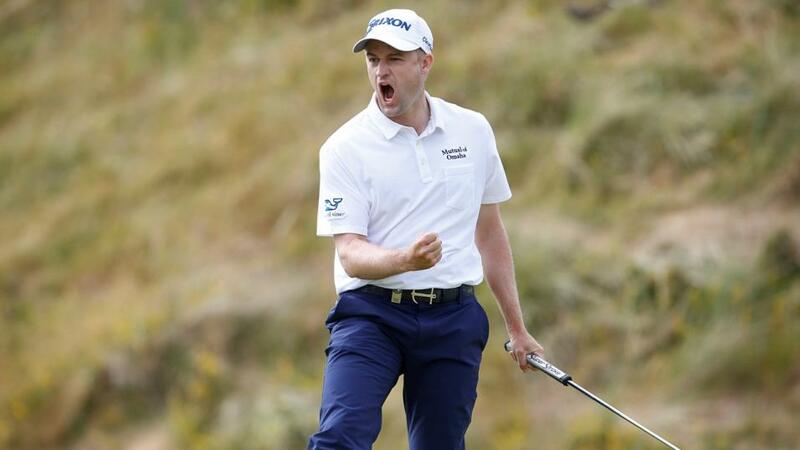 On recent form, choosing between Sullivan and Kaymer is a no-brainer. The former had made every cut in 2018 until last week in Scotland and had registered top-tens in five out of his previous seven starts. Kaymer has been on a nightmare run, although a couple of top-eights last month offer hope. He's still struggling on the basis of efforts in France and Scotland, whereas Sullivan is rated a good value outsider for the title, as explained in my Find Me a 100 Winner column. If this were being played in the States, the favourite would surely be much shorter odds. Two missed cuts from three in the Open mean less is expected of Brian Harman this week, but he still looks much superior. In fact, his Open record - 26th in 2014, average round score of 72 - is not so bad for a links novice. Compare that to Ikeda, who has played twice as many Opens, averages 74, missed four out of six cuts and isn't even setting the Japan Tour alight. Landry won the Texas Open and is a decent PGA Tour prospect, but this is his first visit to Europe and attempt at links golf. Expectations should be low and this group probably won't take much winning. A speculative punt on the outsider here, against two classy yet largely out-of-form types. Besides a couple of good efforts during May, Schwartzel has been on a bad run and has missed two of three cuts since. Apart from a fine sixth in the US Open, Berger has been in awful form, even on courses where he had plenty of previous. Lewis may not therefore need anything special to win on his first Open since starring on debut in 2011. Then an amateur, Lewis led after round one en route to a top-30. He's not fulfilled that potential since, but is competitive in Europe and perfectly capable over one round. As always there are plenty of great marquee groups to follow tomorrow, involving three genuine title contenders. That certainly applies here, with the outsider getting the nod. Ignoring his final round on Sunday, Knox is in superb form and had looked set to challenge for a third straight week, after winning on links in Ireland and finishing second in France. His accurate long game is perfect for Carnoustie and I reckon he can set a tough standard for these illustrious opponents to match. Tiger is playing well too and of course knows full well how to position his ball around a tough, fast links course. Matsuyama has also thrived in this major but is not at his best right now, with last week's missed cut in Scotland his third in six. The importance of past links experience in an Open cannot be understated and, on that basis, two of this trio are really up against it. Burgoon has some promising PGA Tour form but has never played in Europe. Thomas is a little-known English pro who plays on low-grade US Tours, and never on a vaguely comparable stage. Jones on the other hand has fared perfectly respectably in this major, making all three cuts and hitting opening rounds of 68/69/71. The Aussie is probably best in firm, fast conditions and is in reasonable form. Three of his last seven PGA Tour starts yielded top-20 finishes and he was third through 54 holes at last weekend's John Deere Classic.